Now almost everything from ATM machines, interactive ticket booths, POS devices, slot machines, and information kiosks feature a user-friendly interactive touch screen. The user can use the touch screen to react to what is displayed and to control how it is displayed. 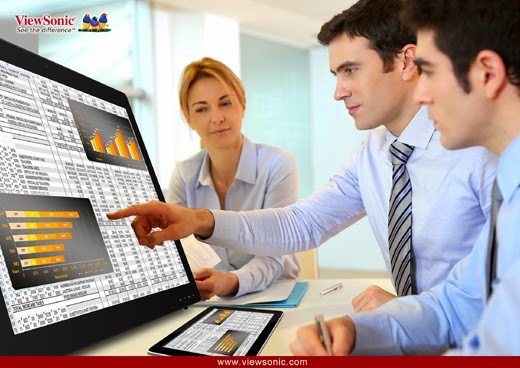 ViewSonic incorporates the touch technologies into the TD series of monitors, featuring TD20 and TD40 series that can bring display solutions to improve the business efficiency. Optical Touch technology utilizes two or more image sensors that are usually placed around the edges of a display. These sensors allow the touch surface to recognize two contact points simultaneously, and provide users with direct interaction by allowing two-finger gestures such as zoom in/out, rotations, and two-finger taps. Because of Optical Touch’s scalability, versatility, and affordability, it is becoming a popular technology for use on large format displays. ViewSonic’s TD20 series - The experience offered by Optical Touch is responsive and accurate, and does not require a conductive object for touch recognition. As such, this technology is extremely useful in gloved environments such as hospitals and dental offices, or for use with interactive stylus pens. Touch screens equipped with Dual Point Optical Touch are also versatile solutions for use in classroom settings, home entertainment and gaming, or as a Point of Sale device in retail stores, and even as an information kiosk. Projected Capacitive is widely utilized by mobile devices such as smart phones and tablets. Projected Capacitive Touch screens feature a grid pattern of conductive materials layered within multiple sheets of glass. The conductive grid creates an electrostatic field, so when the screen is touched by a conductive object (i.e. a finger), the touch is recorded by measuring the overall change in capacitance. 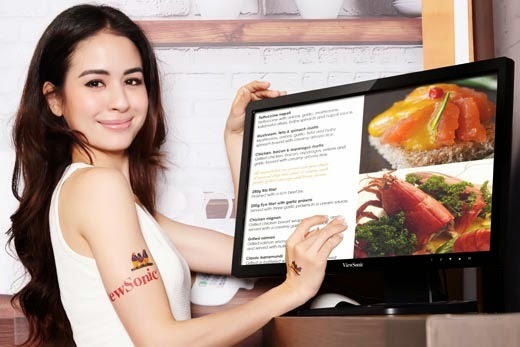 ViewSonic’s TD40 series - Projected Capacitive Touch is a true multi-touch technology, allowing for 3 or more simultaneous touch points on the screen. With the system’s ability to detect and resolve 10 or more touches at the same time, the accuracy and touch experience is dramatically improved for the user. 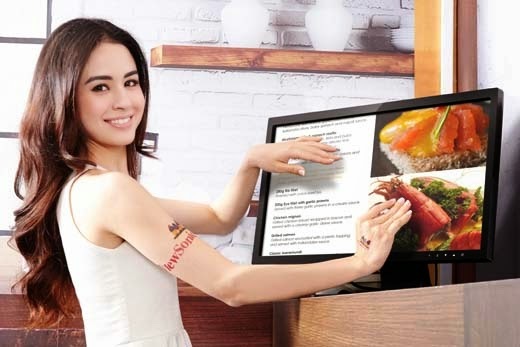 Because of its speed, efficiency, and intuitiveness, Projected Capacitive Touch is becoming the technology of choice for current generation touch screens and interactive displays. It is more expensive due to the complex electronics and sensor construction and since it requires input from a conductive device, such as a finger, it is not suited for environments with gloved hands. Touch screens equipped with Capacitive Touch are best utilized for multi-user applications such as gaming, or interactive whiteboards for use in educational settings. In addition, Capacitive Touch screens are an ideal solution for businesses seeking the ultimate in interactive displays and digital signage. Capacitive Touch displays can be used to attract and engage customers in high-traffic areas such as high-end retail centers, transportation hubs, and hotel lobbies. In conclusion, Optical Touch technology is scalable, versatile, and affordable, and best utilized for single-user applications such as POS devices, desktop displays, or for use within the gloved environments of the medical and dental fields. Projected Capacitive Touch technology is an ideal choice for multi-user applications where interactivity and collaboration are needed, such as in classrooms. Additionally, Projected Capacitive Touch can be of benefit to commercial applications as well such as interactive digital signage. With 25 years of expertise as a leader and innovator of display technology, ViewSonic has a complete line of interactive and ergonomic touch displays to meet any need. ViewSonic’s TD20 series feature super accurate and responsive Dual Point Optical Touch technology, which is suitable for Point of Sales and public directories. ViewSonic’s TD40 series of touch displays are all Windows® 8 certified and feature 10-Point Capacitive Touch technology to deliver a versatile solution for use in the office or at home, as well as for use as an information kiosk in public areas, or as a teaching tool in interactive learning environments. All of the TD20 and TD40 touch displays feature a 7H scratch-resistant surface hardness to ensure a consistent, high-quality touch experience even in high-traffic areas. The TD series is the best line of monitors for business looking for more interactive display solutions that improve the business efficiency yet are aesthetically attractive.